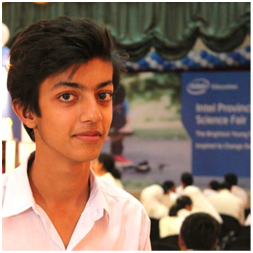 A Pakistani student Mr. Habab Idrees won special prize in the field of Energy during Intel International Science and Engineering Fair 2015 held in USA and he was awarded with certificate and cash prize in the Grand Winners Prize Distribution ceremony held on May 15, 2015 at David Lawrence Convention Centre, Pittsburgh, Pennsylvania-USA. 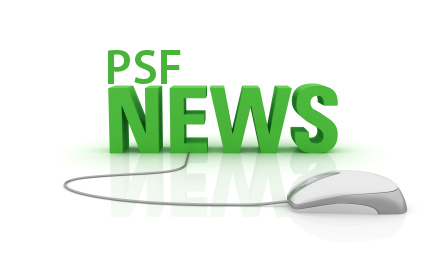 As part of science promotion activities at grassroots level, Pakistan Science Foundation (PSF) in collaboration with Intel Education Pakistan organizes Science and Engineering Fairs at local, provincial, national and international levels for selection of students with outstanding scientific projects every year. In year 2015, in national level Science Fair over 190 students showcased their projects at Islamabad at the end of January, 2015. From the national level fairs, five projects (two groups and three individuals) prepared by nine students, were selected, through a transparent and strict process of judgment, for participation in Intel International Science and Engineering Fair (ISEF)-2015. 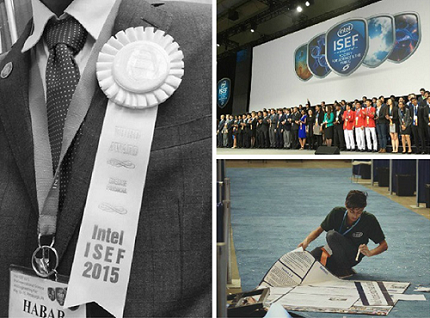 The ISEF-2015 was held in Pittsburgh, Pennsylvania, USA on May 10-15, 2015, in which over 1,700 students from 75 countries participated. From Pakistan eight students with their five projects participated in it under the supervision of Dr. Ghazala Roohi, Director ESD, PMNH, Mr. Abdul Rauf, SSO, PSF and the Project Manager Intel Education Pakistan, Ms. Khadija Bashir. The prime purpose was to make a device that is low cost, works on free energy and can replace all other solar devices that have been made. Upon observing many solar devices, their working, by merging their functions and characteristics I came up with a totally new design. This design can perform all functions. I have made a system in which temperature can be raised and maintained with respect to its surrounding. This revolutionary device works on renewable energy hence it is eco-friendly. By doing so the cost effectiveness of the system has been one of the most prominent features of this device. It works on basic phenomenon of physics like green-house effect, Reflection, Conduction, Insulation. This system can be used as a solar drier, solar oven, solar geyser etc it can also be used to increase the biogas production in winter. This device is smart because it synchronize motion of reflecting flaps with the movement of sun and its flap position and temperature can also be controlled through android application. I am Habab Idrees from Karachi, Pakistan. I study at DJ Sindh Science Government College and Pakistan Science Club. I love to play football, Lego, K'nex. The thing I love doing most is to find out solutions of different problems. The thing that got me interested in science was television when I was in 5th grade. I used to watch TV shows related to science which taught me that everything in this world is somehow related to science and through science we could help a lot of people and we could also make our world better place to live. So at that time I decided that I would be an Inventor, not just an ordinary Inventor but the number one Inventor of this world. In future, I want to study at MIT because if I want to be the best I will have to learn from the best! Pakistan Science Club is the place where I learned working and developed my skills in coding, building, experimenting, and presenting etc. I also host a show at Pakistan Science Club in which I teach people to build DIY projects and basic science concepts through videos. Intel National Science Fair has become one of the most memorable events of my life. It is the place where I met people like me and made many new friends. Intel provides us platform to show our talent and our dedication to science, it is also making our future better and healthy. I would like to thank Intel Pakistan for providing us this opportunity.